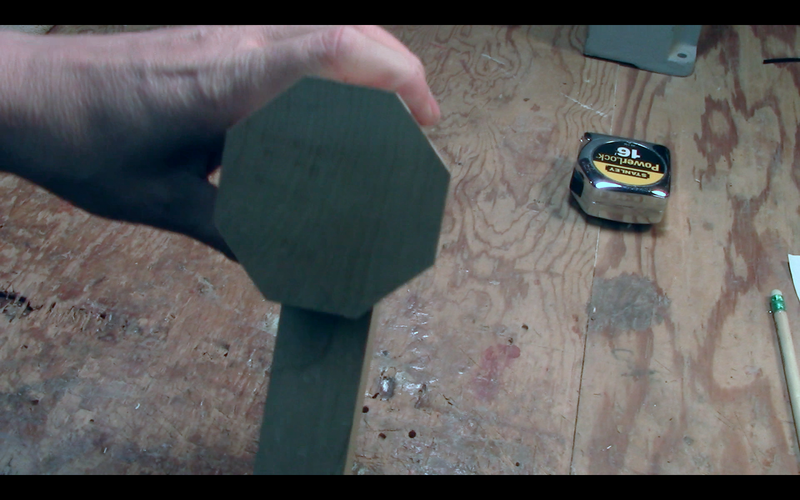 The Chris Pine Workshop: How to make a Wood Mallett. 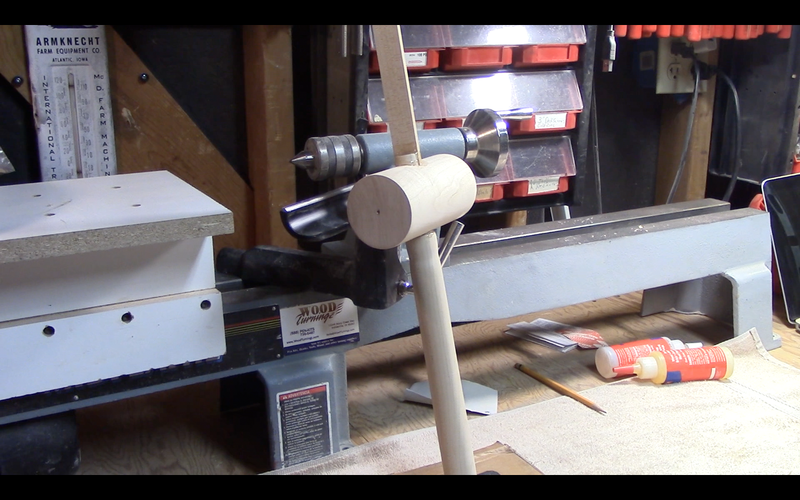 The one I am making today is made form Hard maple, and I am going to use the lathe to make the parts round. 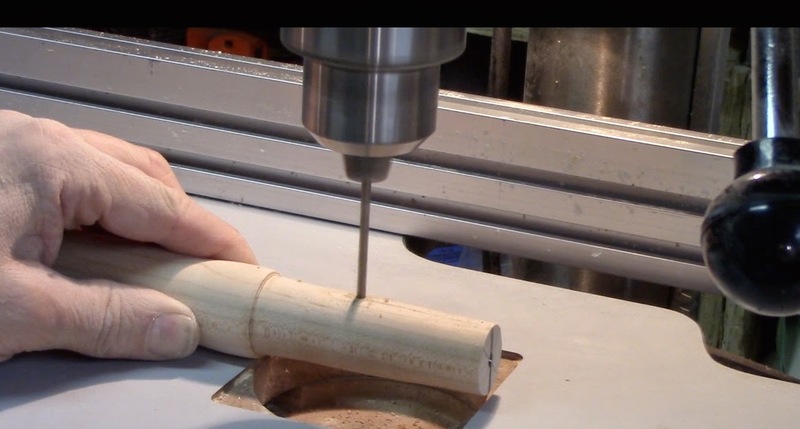 You can easily make this mallet without a lathe and just cut the parts and use draw knives or routers etc to shape the parts. Of course doing it this way the parts will not exactly be round but just as functional as mine. 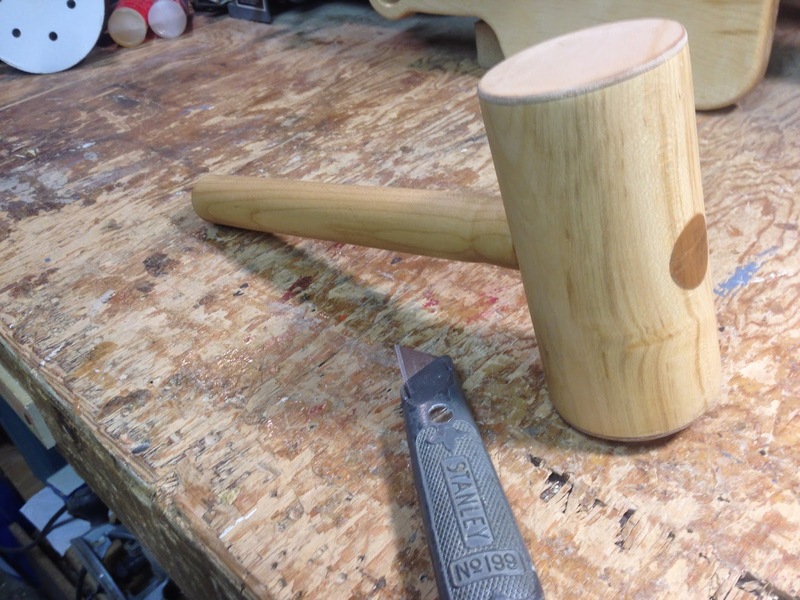 The addition of the pieces of leather to the faces of the hammer is just a classy look and very helpful when using it on wood pieces to help mitigate damaging the project pieces. The parts I started with were about 2 3/4 inches square by about 5 inches long for the head and the handle material measures 1 1/4inch square by just shy of 14 inches long. 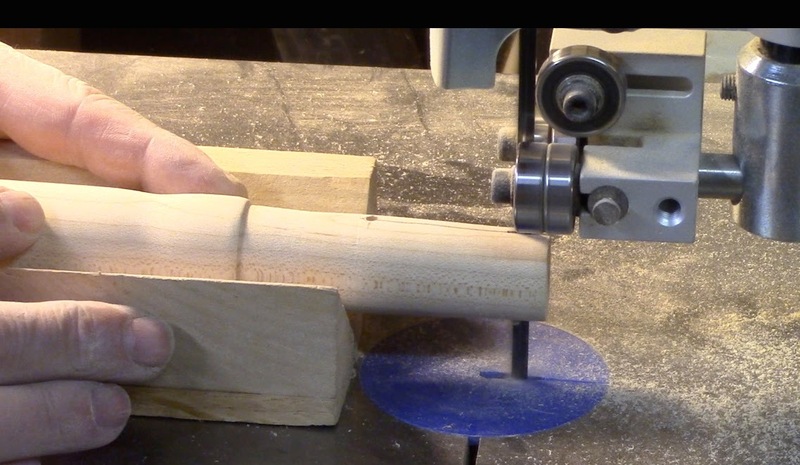 To start with I cut the corners off of the head piece and once that is done you could just use that shape for the head id you did not wish to turn it round or if you do not have a lathe. I then drill the hole in the head piece for the handle (I should have drilled the hole first before cutting the corners off, this would have made things easier) Drill through one side until the bit just starts to pike through and then turn the piece over and finish drilling form that side. This will prevent possible chip out on your piece. This hole by the way is 1 inch. Turing the pieces is very basic you load them on the lathe between centers and I turned them only until they were round and them sanded and removed from the lathe. While you can’t see this as I did not record it I tried to get the tenon piece on the handle to fit much snugger than it did and I blew that but the wedge design of fastening adds some forgiveness for looseness and using epoxy also fills this area and makes a very tight joint. 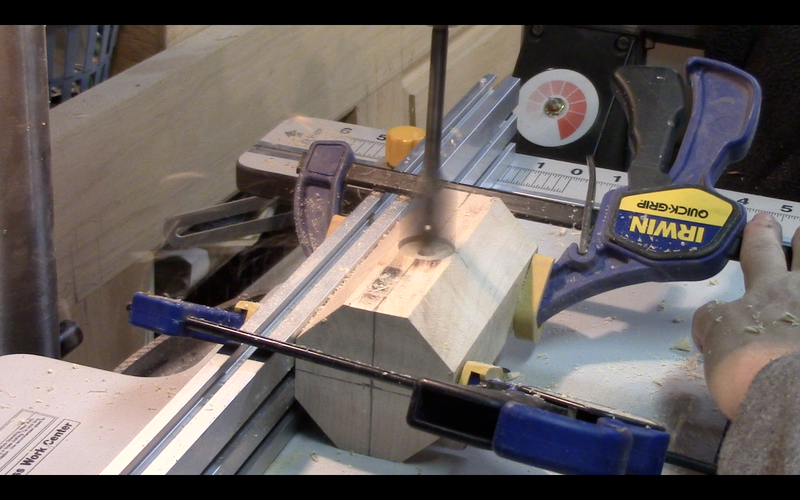 Cutting the tenon slot for the wedge is fairly easy on the bandsaw. 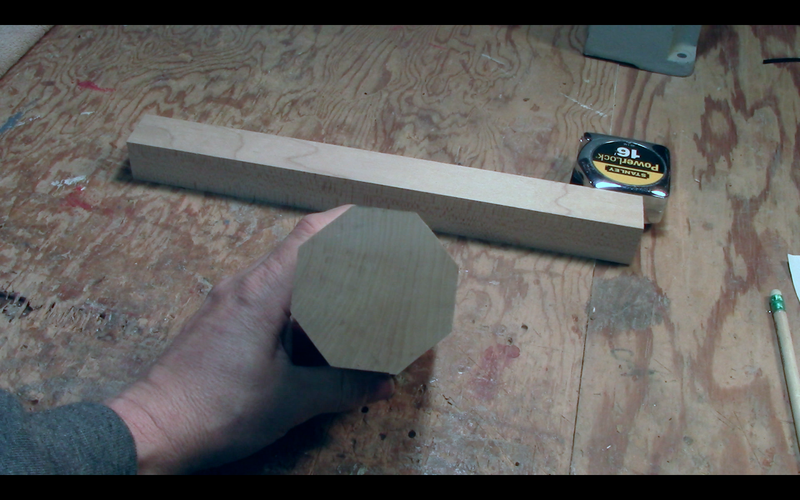 I like to cut the slot perpendicular to the direction of the grain to avoid split out and gain the strength in going this direction. Also to go even further to avoid split out you can drill a pilot hole or a stop drill as we call it in the Aircraft maintenance world. (Many times with a crack in the sheet metal of an aircraft you can do what is called a stop drill at the end of a crack to prevent it from cracking any further) . 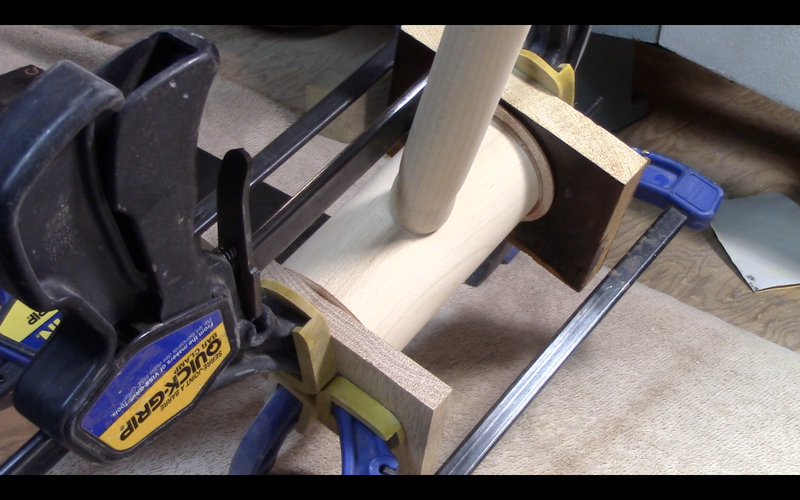 Some may debate if this really helps to prevent split of of your wedge slot… I have had good luck doing this and always use it on wedged tenons. Assembly is very easy and lots of fun. Put the pieces together and place the slot of the wedge agains the grain of the head piece insert your wedge and drive it in tightly. Of course you have before this applied your glue to the joint. 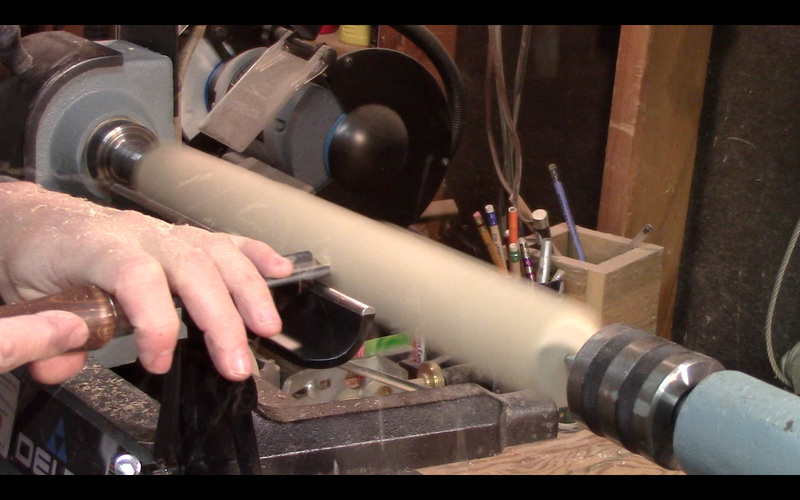 I like to use epoxy for this as I stated earlier this fills the voids nicely and adds a lot of strength to the joint. 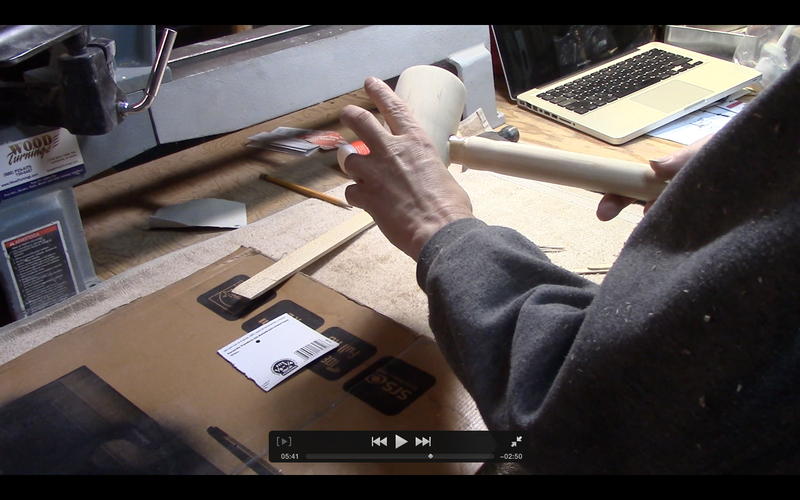 Let the epoxy cure solidly and cut of the remaining widen and tenon piece that sick out. 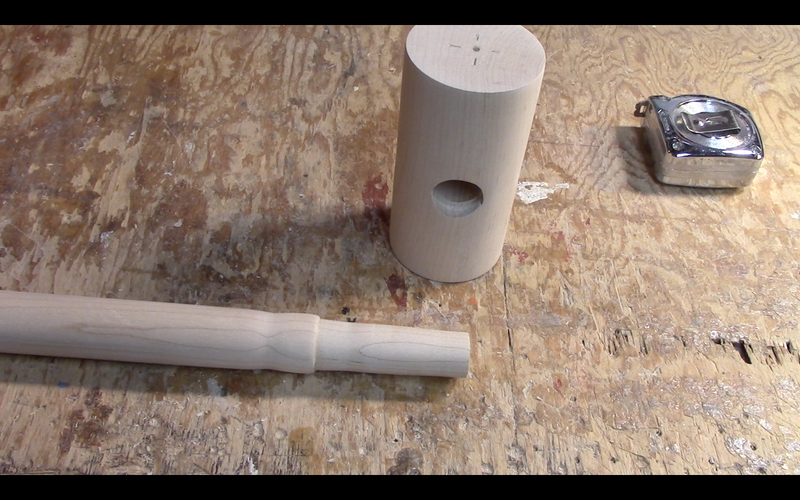 Sand the tenon flush and all finish. I used several coats of danish oil. I also applied two pieces of leather to the hammer faces. I used once again 5 minute epoxy. 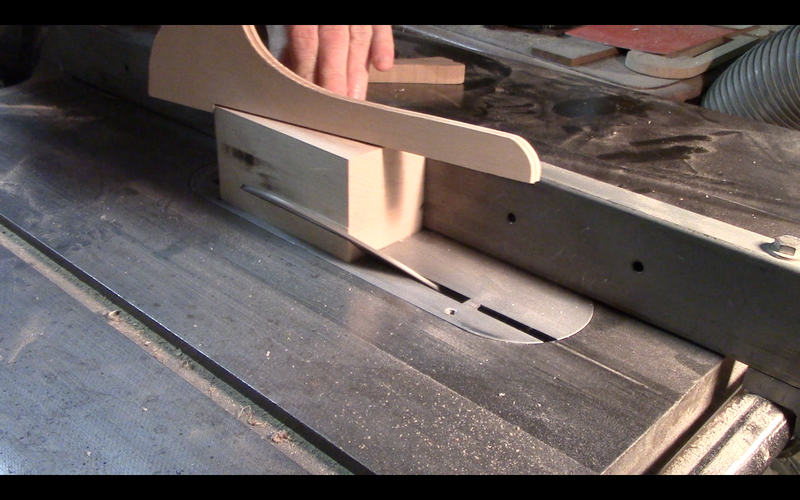 clamped until dry and trim the leather flush with the sides of the hammer. 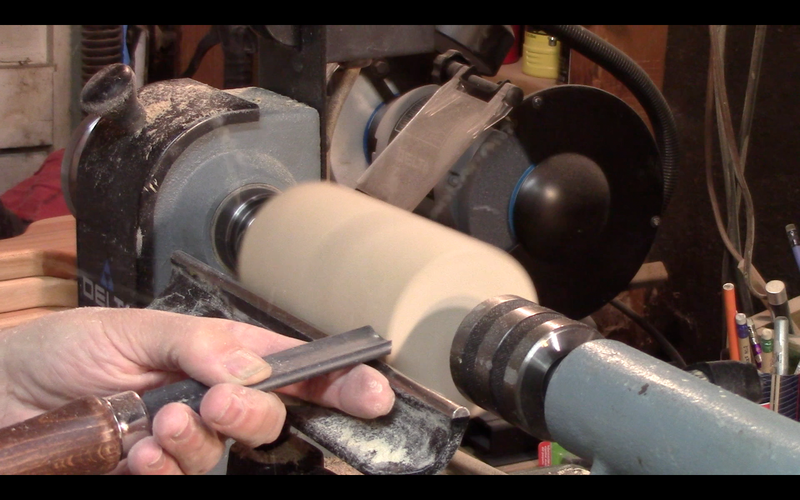 This really addd to the attractiveness of the tool and is useful as well in having a small cushion effect when in use. The leather pieces are called rounds and are approximately 3 1/4 inches round so waste is minimal and a package of three was about $4 from my local leather store. My other social media connections below! The drawing will be posted on my other channel Time with Pine on that days post.